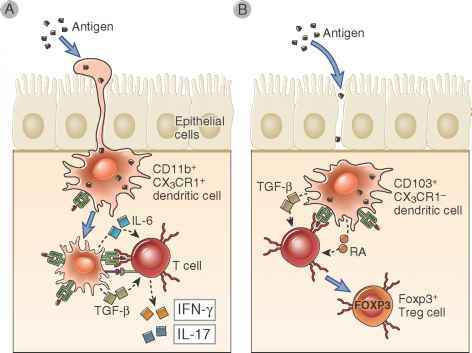 FIGURE 13-2 Mechanism of regulation of innate immune responses in the intestinal mucosa. Pattern recognition receptor expression and function in intestinal epithelial cells and lamina propria DCs minimize inflammatory responses to commensal bacteria in the lumen but promote responses to microbes that traverse the barrier and enter the lamina propria. Top, Pattern recognition receptors that recognize bacterial flagellin are compartmentalized in the cytosol (NLR) or basal membrane (TLR5) of intestinal epithelial cells but not on the apical/lumen membrane. Bottom,TLR4, which recognizes bacterial lipopolysaccharides, is expressed at low levels on intestinal epithelial cells and lamina propria DCs. TLR signaling does not induce inflammatory gene expression in lamina propria DCs because of more dominant effect of intracellular regulators of TLR signal transduction, such as TOLLIP and IRAK-M, compared with conventional DCs in other tissues. inflammatory reactions that would compromise the mucosal barrier. Nowhere else in the body is there such an extensive commitment of the immune system to maintaining tolerance to foreign antigens. A major mechanism for controlling responses in the gut is the activation of regulatory T cells (Treg), and some subsets of Treg are more abundant in mucosa-associated lymphoid tissues (MALT) than in other lymphoid organs. We will now discuss the special features of adaptive immunity in the gastrointestinal system, including anatomic organization, antigen sampling, lymphocyte homing and differentiation, and antibody delivery to the lumen. In this section, we will discuss the anatomic organization of cells within the intestines and the relationship of this organization to how adaptive immune responses are initiated, carried out, and regulated. In general terms, the functional anatomy of the adaptive immune system in the gut has evolved to effectively deal with the conditions we emphasized earlier of abundant commensal microbes and rare pathogens just outside an epithelial barrier of enormous surface area. follicles in the gut lamina propria requires lymphoid tissue inducer cells, which express the RORYT transcription factor and produce the cytokine lymphotoxin-P (LTp). FIGURE 13-4 DCs in the intestinal mucosa. There are several different subsets of DCs constitutively present in the intestinal mucosa that are defined by cell surface molecules and function. Two such subsets are shown that are also present in other mucosal tissues. 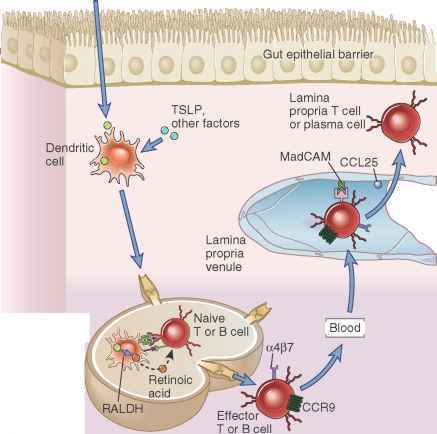 A, Antigen-sampling DCs extend dendritic processes between intestinal epithelial cells into the lumen to sample antigens and then migrate to mesenteric lymph nodes, where they initiate activation and differentiation of proinflammatory effector T cells. These DCs express the CD11b integrin chain and the CX3CR1 chemokine receptor. B, Other DCs present in the lamina propria, which express the integrin CD103, present antigens to naive T cells and induce their differentiation of regulatory T cells, in part by secreting TGF-P and retinoic acid (RA). The regulatory function of these DCs depends on factors secreted by intestinal epithelial cells. typhoid fever. M cells express specific lectins that allow these bacteria to specifically bind and be internalized. 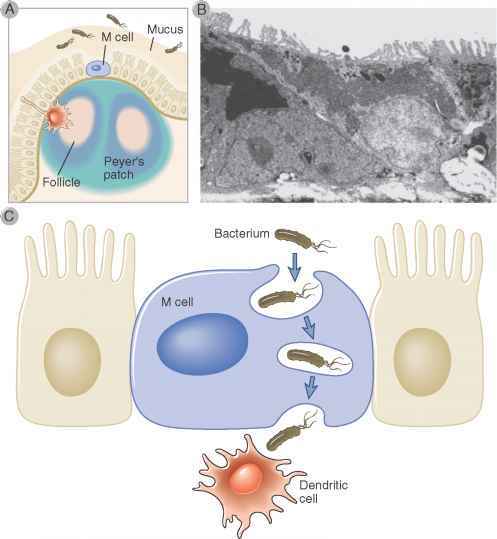 The bacteria are cytotoxic to the M cells, leading to gaps in the epithelium that promote invasion of more organisms. M cell lectins may also promote infection by certain enteric viruses. Microbial antigens in the gut lumen can be sampled by lamina propria DCs that extend cytoplasmic processes between the intestinal epithelial cells and by Fc receptor-dependent uptake of IgG opsonized antigens by the epithelial cells (Fig. 13-4). Antigen-sampling DCs are numerous in certain regions of the intestine, especially the terminal ileum, where they extend dendrites through the junctions between adjacent epithelial cells, apparently without disrupting the tight junctions. These antigen-sampling DCs belong to a subset of mucosal DCs that promote effector T cell responses, which we will discuss later in the chapter. Unlike M cells, these DCs are capable of processing and presenting protein antigens to T cells within the GALT. Antigens in the lumen that have been opsonized by antibodies can be delivered to the GALT by Fc receptor-mediated pathways. There is evidence from mouse studies that IgG-opsonized antigens, such as bacterial flagellin, can be transported across the gut epithelium through the neonatal Fcy receptor (FcRn, see Chapter 12) and passed on to DCs in the GALT, leading to T cell responses to the antigens. 150 of these lymph nodes located between the membranous layers of the mesentery. Mesenteric lymph nodes serve some of the same functions as GALT, including differentiation of B cells into dimeric IgA-secreting plasma cells and the development of effector T cells as well as regulatory T cells. The cells that differentiate in the mes-enteric lymph nodes in response to bowel wall invasion by pathogens or commensals often home to the lamina propria. We will discuss imprinting of homing properties of lymphocytes activated in mesenteric lymph nodes later. FIGURE 13-5 Homing properties of intestinal lymphocytes. The gut-homing properties of effector lymphocytes are imprinted in the lymphoid tissues where they have undergone differentiation from naive precursors. DCs in gut-associated lymphoid tissues, including Peyer's patches and mesenteric lymph nodes, are induced by thymic stromal lymphopoietin (TSLP) and other factors to express retinaldehyde dehydrogenase (RALDH), which converts dietary vitamin A into retinoic acid. When naive B or T cells are activated by antigen in GALT, they are exposed to retinoic acid produced by the DCs, and this induces the expression of the chemokine receptor CCR9 and the integrin a4|37 on the plasma cells and effector T cells that arise from the naive lymphocytes. The effector lymphocytes enter the circulation and home back into the gut lamina propria because the chemokine CCL25 (the ligand for CCR9) and the adhesion molecule MadCAM (the ligand for a4p7) are displayed on lamina propria venular endothelial cells. is not well described; the crypts are possible sites where this may happen. Nonetheless, the lingual and palatine tonsils respond to infections of the epithelial mucosa by significant enlargement and vigorous, mainly IgA, antibody responses. Typical infections that are associated with tonsillar enlargement, usually in children, are caused by streptococci and the Epstein-Barr virus. The gut-homing phenotype of IgA-producing cells and effector T cells is imprinted by DCs and the action of reti-noic acid during the process of T cell activation (see Fig. 13-5). In addition to promoting naive T cell differentiation into effector T cells and naive B cell differentiation into IgA antibody-secreting cells, discussed later in the chapter, DCs in GALT and mesenteric lymph nodes also provide signals that lead to the expression of a4p7 and CCR9 on these effector cells. The induction of these homing molecules depends on secretion of retinoic acid by the DCs, although the mechanisms are not well understood. The selective induction of gut-homing cells in the gut lymphoid tissues is explained by the fact that gut lymphoid tissues are exposed to dietary vitamin A, and DCs in GALT and mesenteric lymph nodes express retinal dehydrogenases (RALDH), the enzyme needed for retinoic acid synthesis from vitamin A, whereas DCs in other tissues do not. In addition, intestinal epithelial cells also express RALDH and can synthesize retinoic acid. Consistent with these properties of the intestinal humoral immune system, it is known that oral vaccination not only favors the expansion of IgA-producing B cells, compared with intradermal immunization, but that oral vaccines also induce higher levels of a4p7 on B cells. The lamina propria contains diffusely distributed effector lymphocytes, DCs, and macrophages and is the site of the effector phase of gastrointestinal adaptive immune responses. As discussed before, effector lymphocytes generated in Peyer's patches, other GALT structures, and mesenteric lymph nodes home back into the lamina propria. In this location, T cells can respond to invading pathogens, and B cells can secrete antibodies that are transported into the lumen and neutralize pathogens before they invade. Humoral immunity in the gut is dominated by production of secretory IgA in the GALT and transport of the antibody across the mucosal epithelium into the lumen. 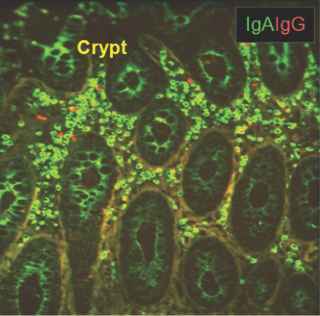 Smaller but significant quantities of IgG and IgM are also secreted into the gut lumen. Within the lumen, IgA, IgG, and IgM antibodies bind to microbes and toxins and neutralize them by preventing their binding to receptors on host cells. This form of humoral immunity is sometimes called secretory immunity and has evolved to be particularly prominent in mammals. 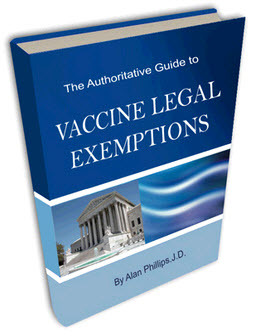 Antibody responses to antigens encountered by ingestion are typically dominated by IgA, and secretory immunity is the mechanism of protection induced by oral vaccines such as the polio vaccine. Several unique properties of the gut environment result in selective development of IgA-secreting cells that either stay in the gastrointestinal tract or, if they enter the circulation, home back to the lamina propria of the intestines. The result is that IgA-secreting cells efficiently accumulate next to the epithelium that will take up the secreted IgA and transport it into the lumen. IgA is produced in larger amounts than any other antibody isotype. It is estimated that a normal 70-kg adult secretes about 2 g of IgA per day, which accounts for 60% to 70% of the total production of antibodies. 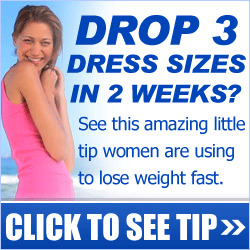 This tremendous output of IgA is because of the large number of IgA-producing plasma cells in the GALT, which by some estimates amount to about 1010 cells per meter of bowel (Fig. 13-6). Because IgA synthesis occurs mainly in mucosal lymphoid tissue and transport into the mucosal lumen is efficient, this isotype constitutes less than one quarter of the antibody in plasma and is a minor component of systemic humoral immunity compared with IgG and IgM. FIGURE 13-6 IgA-secreting plasma cells in the intestine. 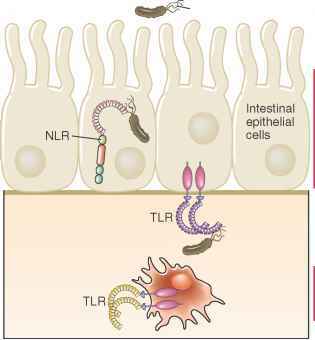 expressed by intestinal epithelial cells or GALT DCs in response to TLR signaling, and the commensal bacteria in the gut lumen produce the ligands that bind to the relevant TLRs. For example, T-independent IgA and IgG switching requires binding of the TNF family cytokine APRIL to the TACI receptor on B cells, and intestinal epithelial cells produce APRIL in response to TLR ligands made by commensal bacteria. Intestinal epithelial cells also produce thymic stromal lymphopoietin (TSLP) in response to TLR signals, and TSLP stimulates additional APRIL production by GALT DCs. TLR ligands made by commensal bacteria in the gut also increase expression of inducible nitric oxide synthase in DCs, leading to nitric oxide production. Nitric oxide is thought to promote both T-dependent and T-independent IgA class switching, in part because nitric oxide enhances TGF-P signaling in B cells and also synthesis of APRIL by GALT DCs. Finally, intestinal B cell IgA production is at least partly dependent on the vitamin A metabolite all-trans retinoic acid, which is made by intestinal epithelial cells and GALT DCs, although the mechanisms by which retinoic acid promotes IgA production are not known. Retinoic acid is also important in B cell homing to the gut, as we discussed earlier. There is an abundance of many of these molecules within the GALT and mesenteric lymph nodes compared with nonmucosal lymphoid tissues such as spleen and skin-draining lymph nodes, largely accounting for the propensity of B cells in the GALT to switch to IgA production.